This prince of a car has a regal Florida legacy. When Ronnie and Pam Edge’s shiny Venetian red Corvette rolled off the assembly line, gas cost 31 cents per gallon, air conditioning was a novelty in Florida homes and Orlando didn’t have a Magic Kingdom. 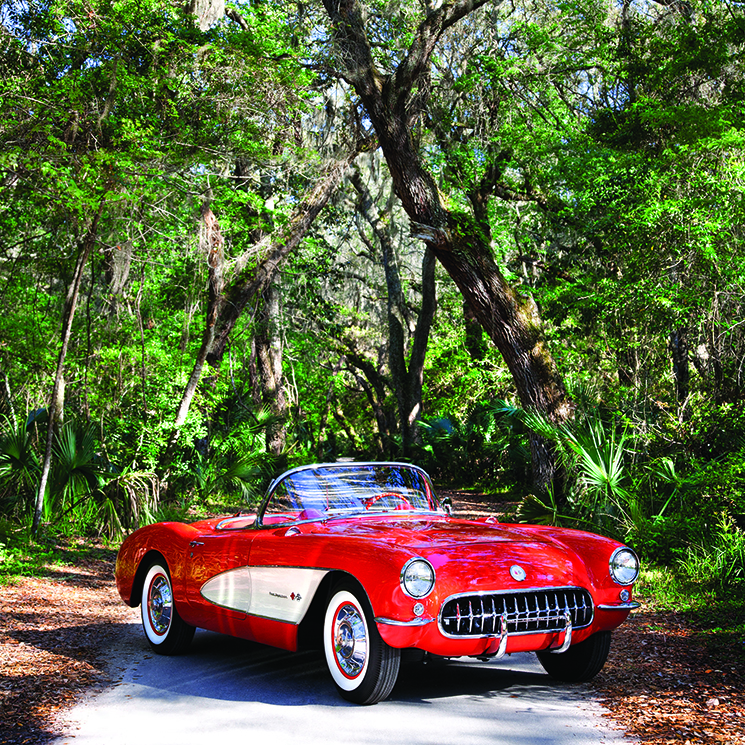 Nearly 60 years later, Florida has changed plenty, but the convertible—which has resided within a 30-mile radius of Jacksonville for its entire life—remains seemingly untouched by time. “The ’57 is like the Holy Grail of Corvettes,” says Ronnie, a car collector with a garage full of hot wheels and a social network of grease monkeys, who alerted him when this pristine ride became available. In November 2010, he drove from his home in Jacksonville to St. Augustine to become the car’s fourth owner. Ronnie was barely a teenager when the car’s initial owner, a woman from St. Augustine, purchased it for $4,935.76 from Jacksonville’s Gordon Thompson Chevrolet in August 1957. The two-tone paint job was an upgrade that cost $19.40. One of just 713 Corvettes manufactured with a fuel-injected engine that year, the car was something special even then. She purchased the car for her son and his new bride who cruised in it to their honeymoon in the Carolinas. The convertible changed hands again in 1966, when another St. Augustine family snagged it. For the next 40 years, the Vette’s third owner kept a scrapbook of photos to document their sweet time together—a tradition Ronnie and Pam have continued.